Oldstory is a premium WordPress theme. You may translate it to your language with Poedit translations editor. 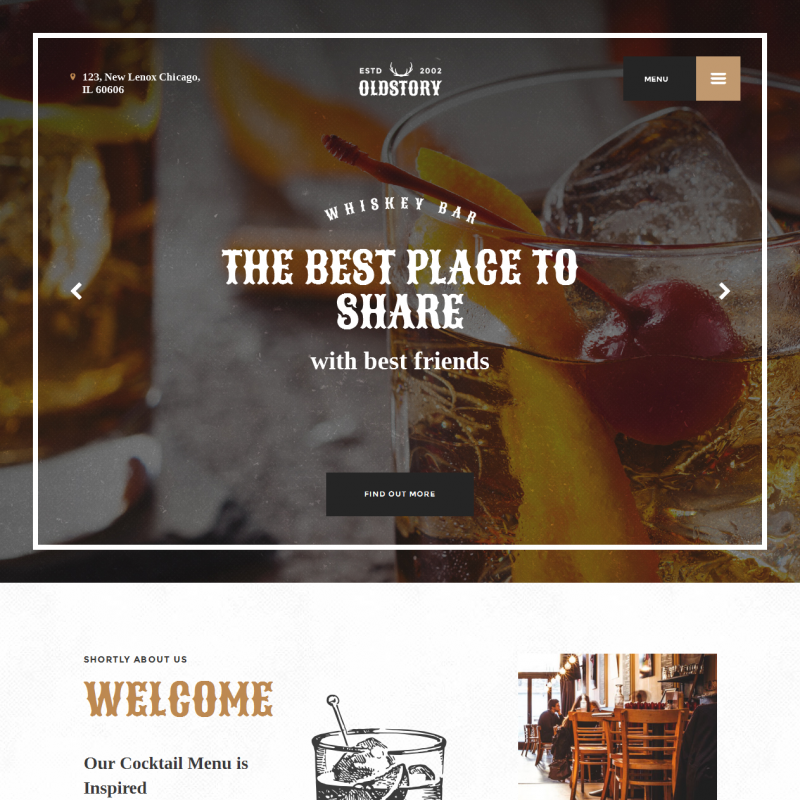 OldStory is a WordPress theme for whiskey bars, steak houses, and other conceptual restaurants. You can add a menu of your restaurant and tell your visitors about your team and promos. OldStory supports post formats and allows you to run a full-fledged blog. Composer and PO Composer. You can also create an online shop thanks to compatibility with WooCommerce.